OMG Posters! » Archive Aesthetic Apparatus' Andrew Bird Poster - OMG Posters! 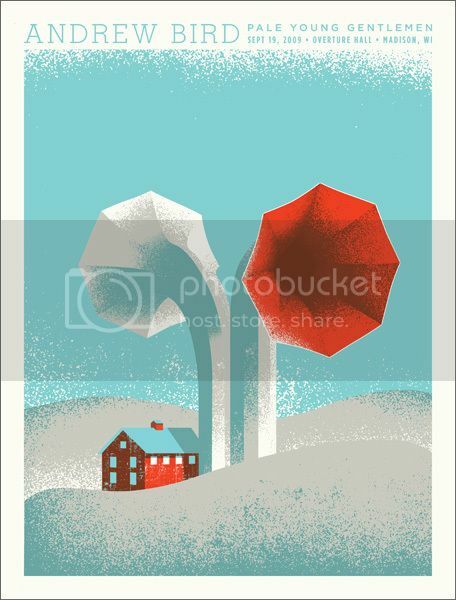 Here’s a quick little heads up that Aesthetic Apparatus have put their new Andrew Bird poster up for sale. This thing is a beauty, and I have to imagine most Bird fans being into it. It’s a 19″ x 25″ limited edition screenprint for only $20. Visit AestheticApparatus.com.